Just a month before the start of this festival we received invitation from Turkey. There was little hesitation wether to accept it or not, because it was a short week during the autumn school break, so accepted it, they accepted me, off we went. I had no time for preparation as I was in the middle of administration and accounting of 12th BuSho, which lets no other tasks to focus on paralell, so little blindly I flew to this city of West-Turkey of 4 million. Beautiful bay, floating boats, palm trees on the streets, order and noticable cleanness, even in the local Bazar. Well at least in downtown. But if you leave the city, you’ll see what originally expected, but hey… just don’t leave it. Following the Duna Mozaik tour in 2011 we started work with MCT (Mladinski Center Trbovlje) youth centre. Since then we took part in 3 International Programmes of theirs in the tiny Slovenian mining town by the river Sava. 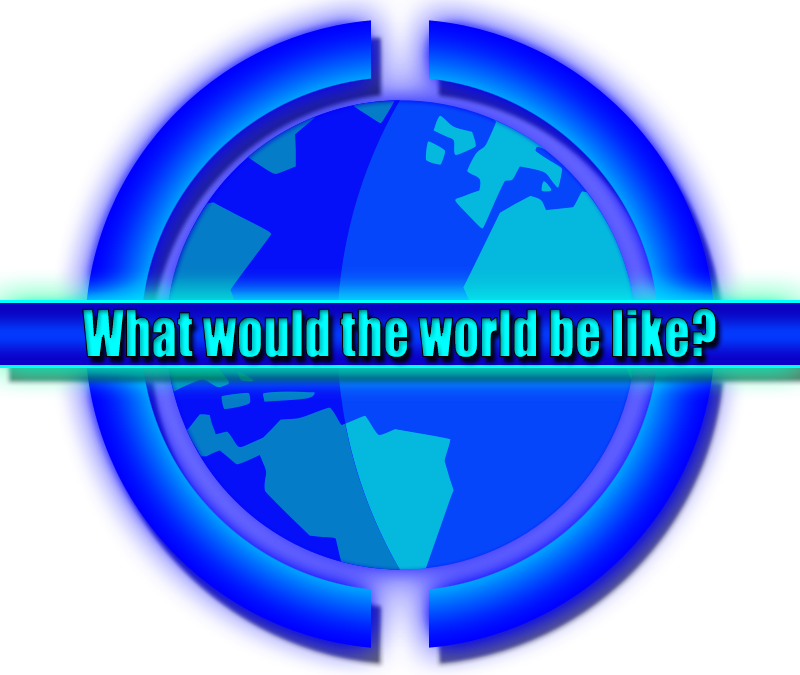 After the projects Blind Diary and Under the Moon this time we presented with an old yet new Hungarian team on the workshop called What Would The World Be Like? in the thematic of discrimination. Nearby the hosting and Hungarian team youngsters also from Croatia and Germany had one week to transform their idea into a presentable film. “It was a pleasure being here, I got exactly I expected from this workshop, to get an taste of live shooting. It was well presented how it should be. The development of my acting career, and the country were just bonuses really...” said Ákos Zelényi who played the main role in the Hungarian work. Here is the making of the workshop, the shortfilm Tape we made, as well as a piece from the news of the Slovenian television. 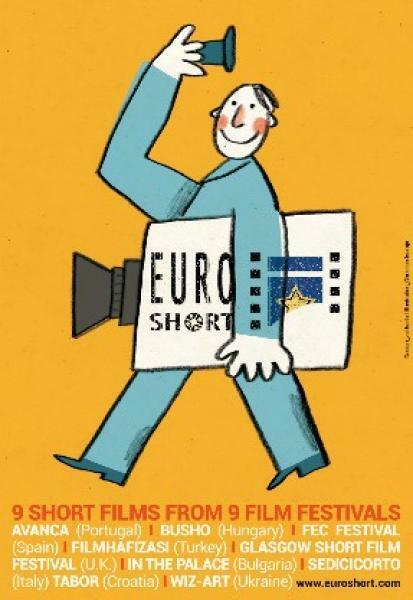 The public could only watch the selection of “Short matters” during BuSho Festivals, which shows the nominees of European Film Award of previous year in short film category. 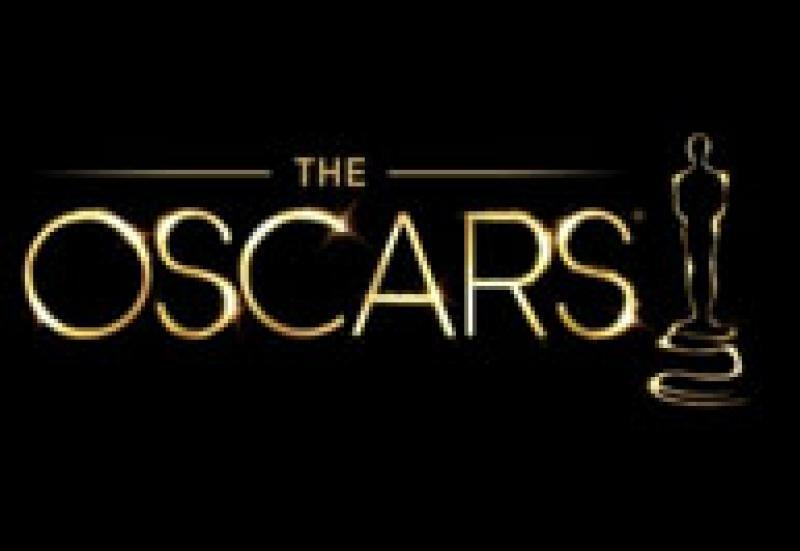 This year’s nominees were announced not long ago. These will be awarded on 10th December in Wroclaw and we recognized some familiar pieces among them. 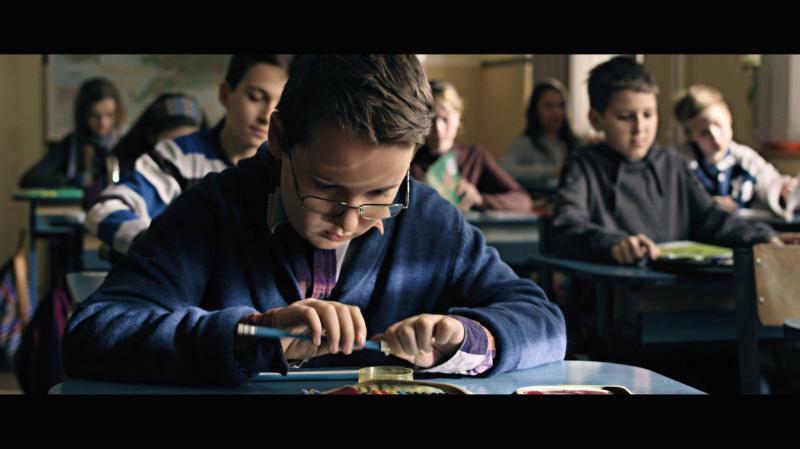 The silver BuSho winner Detsky Graffam, 90 degrees North from Germany and the best cinematography winner Ian Forbes for Edmond, directed by Nina Gantz, they both are in the chance of winning something again. We wish them good luck for that and look forward to the decision. After the festival “they pack their stuff and leave for home” like everyone else. This is when the most spiritual part kicks off, that is the accounting and administration at their peak. Had the public known what phases an event goes through before those few days are set when everyone happily – or unhappily – can take their seat in the screening room to enjoy the essence… well it wouldn’t change probably anything, I just wanted to say something big. Always look on the bright side? Ok, let’s do that way: We were astonished all the way long during the festival. But what happened afterwards was the top of the cake. Everyone can see this, as we put our reference book and a making of video on a plate for you as well as our photo gallery to enjoy. 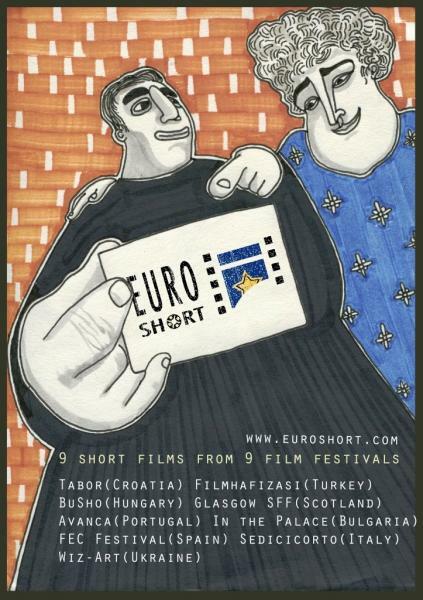 It’s only Sofia left of the schedule of the 2016 Euroshort Network, because even the flagship of this serial Forli did their part already, featuring the Hungarian participant Sty of Ottó Hermán. 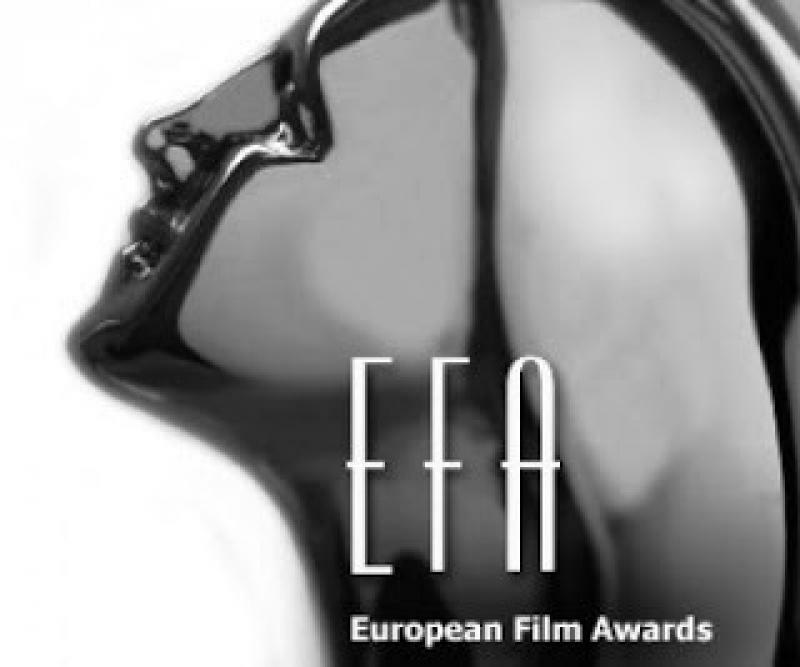 The turning point will be Sofia where they will announce the 2017 selection including the Hungarian nominee. There is one more thing we await this festival with great excitement that is BuSho has the privilege to make the corporate identity of the Network for next year. According to this our graphic mates made their effort and their proposal works went into a selection process by 10 members of the BuSho team. Their anonym voting named the winner that will be sent to the HQ of the Network and it will be shown in all 9 partner festivals next year. We’d like to show you the best works: came third Dániel Pucz with 27 points, second: Attila Incze with 34 points whilst the winner is Ákos Zeleny making 39 points. He also won a participation in the exchange program in Slovenia in November. The most exciting part after the festival is when we make our selections of the bests, as well as of the Hungarian ones to be sent out to the world. This time through Balassi Institute these pieces will be delivered to 24 different Institutes and partner festivals where they will decide if putting them on screen or not. The few who already take this great opprtunity are i.e. Indian Institute where we will appear in co-operation with Delhi Short Film Festival. The other, not-so-far venue is in Ljubljana, Slovenia where the date is not yet set, but we will visit the workshop in Trbovlje Youth Center in mid November despite, as the LIFFE will also take place there on that week. The most enthusiastic team were the Turkish though. The co-operation with them is going back years now and still flourishing. we will hold presentation in Izmir on the first week of November and in Istambul at Universal Kids festival at the end of the month. 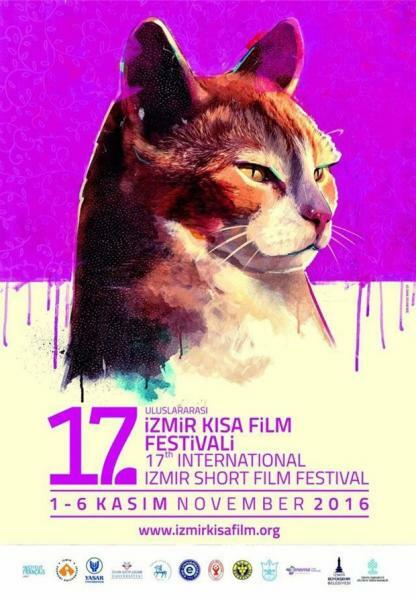 The 28th International Short Film Festival of Istambul will be held in December and 13th Akbank Short Film Festival next March. 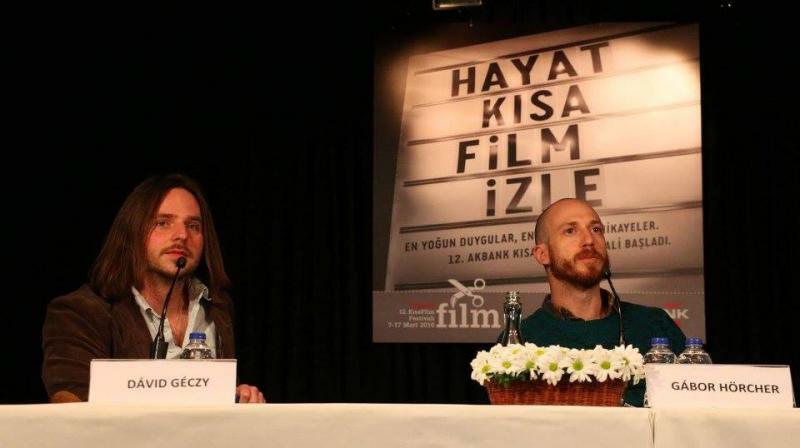 Beside the festivals screenings will be held throughout Turkey in several Universities, and we do hope that we can get along with other institutes as well in the future just like the one in Stuttgart next May with whom the negotiation is ongoing. Recognize the reality through the feelings and minds of a child with autism. Talk about it and be a game changer. We know what to do if a person in a wheelchair needs our help or how to assist a blind person using a white cane. People on the autism spectrum have no such visible disability. Most of us do not know how to recognize them, or how help them. For an autistic person our knowledge, compassion and empathy can provide such an aid. In spite of their unconventional behavior in some situations, their dreams and aspirations are the same as anyone else's. To provide an autistic person with a safe environment, we need to create an accepting society. 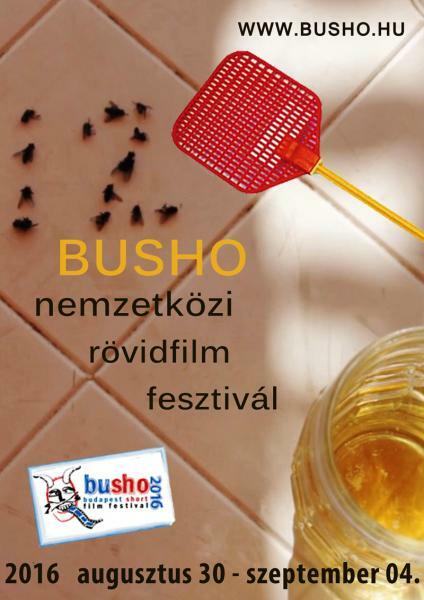 We scheduled the films in blocks for the 12th BuSho International Short Film Festival, and you can find them in the links below! At the same time, it comes with the exact dates and hours, so everyone has time to be able to call friends to the festival screenings! If anyone would like to personally attend the festival, please send the accreditation no later than the end of next week (31. July)! Meanwhile, we started to collect the informations in the catalogue and we will be coming back soon with the first version, which will be sent to the creators. We will kindly ask for a short feedback on information and images. Thank you! BuSho team wishes you a nice summer! We could get used to the fact that the number of submissions exceeded 1000 in the past years, this year was no exception. The pre-jury of the 12nd BuSho International Short Film Festival made their best efforts to screen and discuss the submissions. Their routine in doing this helped them of course and the members gave feedbacks after the selection in spring referring to a great experience: ”A dedicated pre-jury member is always happy to sit through more hundreds of short films – a pastime I undertook for the umpteenth time as a kind of intellectual fulfilment, and boy, did I not regret it! A good short film is compact, gets to the point and is made with lots of love and gravy....” stated László Rimóczi, standing member and online journalist. Similarly to the previous year, his accomplices were Edina Csüllög, director who lives in Estonia, Asia Dér, freelancer film maker and our newly-weds who are responsible for screening the animation films: Annaida Orosz and Tamás Patrovits. Balázs Simonyi, our festival expert delegated a few films, and our festival director, Tamás Gábeli kept his eyes open at the festivals, too, and after an extensive selection process, the result is the competition programme! 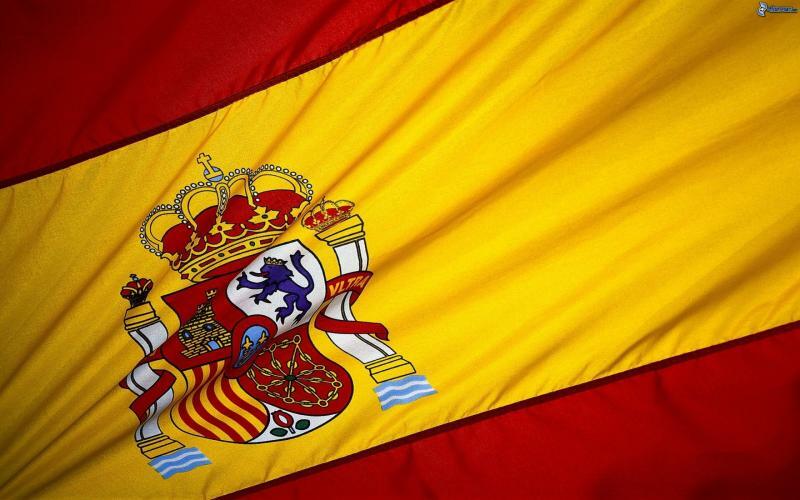 Eventually we have received a total of 1038 entries from 65 countries, the top three nations again Spain with 152, Germany 146, and France 118 entries. The host nation Hungary came fourth with 63 entries while the most unique countries who make appearance are Bahrein, Hong Kong, Iran, Republic of Korea, Kyrgyzistan, The Philippines, Puerto Rico, Senegal, Taiwan, Trinidad & Tobago and Uruguay, but we had an enty from the mystical Réunion as well. In the categorical breakdown we can find 6 music videos, 11 undefineable, 21 documentaries, 94 experimentals, 175 animations and 729 fiction shorts. So now it is the pre-jury's turn who will decide about the competition programme which will be announced by 15-June. 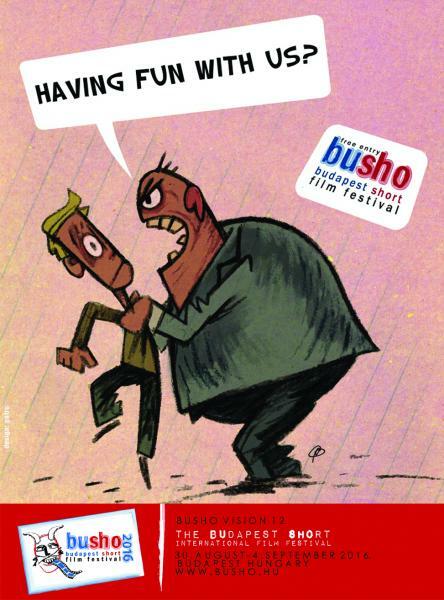 All filmmakers entered should keep an eye on BuSho's web and social media sites. 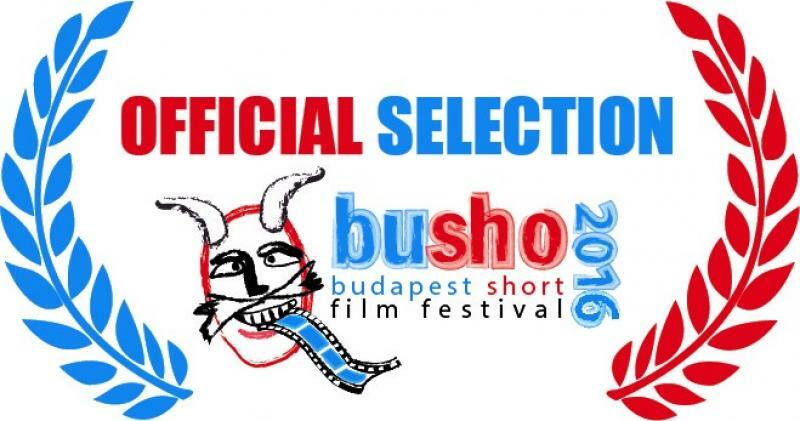 Maybe it is not surprising, that this year we received again more than 1000 entries for the 12th BuSho International Short Film Festival, however, the five-member pre-jury (Rimóczi László, Dér Asia, Csüllög Edina, Orosz Annaida, Patrovits Tamás) were prepared. They started the process in March to be able to finish it in May, so the program of the competition can be published on 15 June. On the Entry Platforms, the Canadian Filmdreeway envolved incredibly, nearly half of the entries, 417 films were received from them. On BuShonline were more than 200 films and of course, we received 152 films on Reelport as well. On Festhome and Click4Fest were approximately 100 nominations, and we also received another 100 nominations from other interfaces. We can talk in broadly about the category reports, because beside our three categories, fiction, animation and experimental, a lot of other categories were mentioned by the creators, like Short, Student or Other. In any case, the rates remained the old ones, thus, next to approximately 100 experimental films, we received 200 animations, and probably the other 700 are fictions. We Can’t Live Without Cosmos by Konstanti Bronzit from Russia! 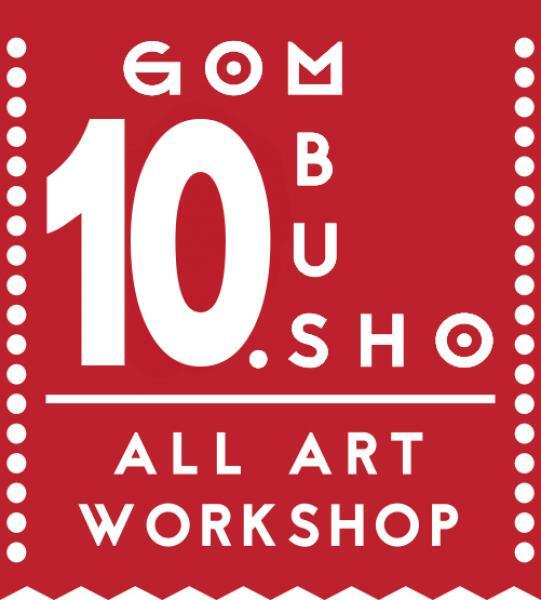 Thank you for the invitation, see you at the beginning of September, as a jury member of the BuSho festival! The set partner festival dates for 2016: FEC: 9/13 March --- GLASGOW SFF: 16/20 March --- IN THE PALACE BALCHIK: 25 June/2 July --- TABOR: 7/10 July --- AVANCA: 27/31 July --- BUSHO: 30 August/4 September --- SEDICICORTO: 7/16 October ---IN THE PALACE SOFIA: 5/11 December 2016! The winner was Kovács István, the director of the film „Betonzaj”, in which a young kick boxer girl is preparing for her main competition, when she finds out that she is pregnant. The other award-winner was Hörcher Gábor for the best documentary. The Drifter is about a simply country guy, Ricsi, who wants to be a rally racer. Gábor won a prize at tha last year`s festival thereby, we delegated him to various festivals, see the following news. It has become a habit over the years, that the collection of best movies on the previous BuSho festivel are screened around Europe, this time in Istanbul. 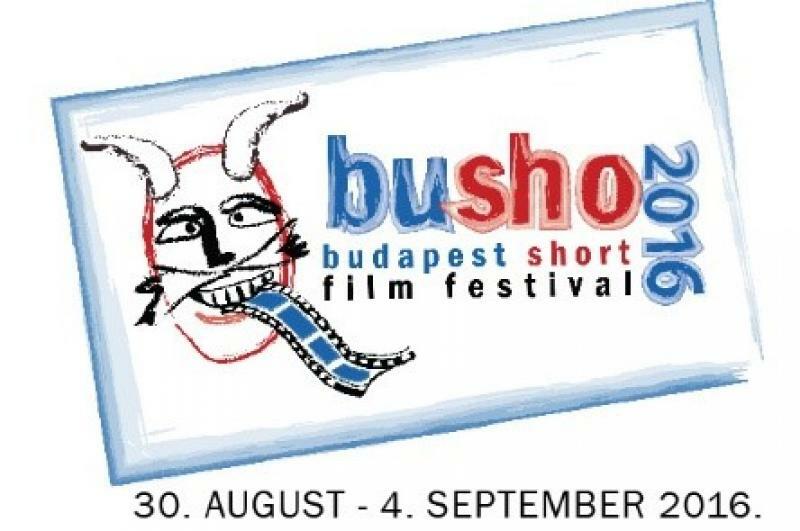 The organizers selected 4 Hungarian short film. Two of them, Gábor Hörcher and Dávid Géczy came to the event, where Áron Sípos, co-worker of the Balassi Institute was waiting for them, the other two film were directed by Zsuzsanna Kreif and Márton Vécsei. 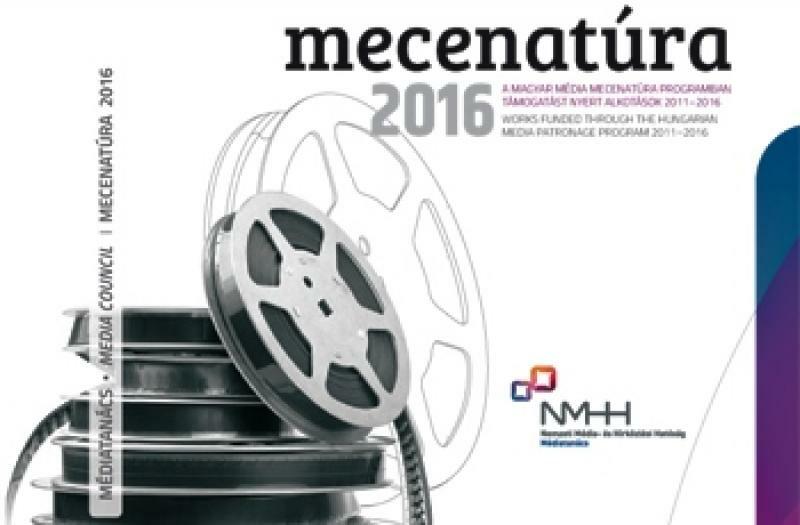 The Media Council again present a prestigious bilingual Hungarian-English book about films which were supported by the program over the past five years. After the last year`s publication, now is available a 364-page online readable publication with more than 700 brief reviews, informations and descriptions of the films. In the welcome speech of the publication, Monika Karas, president of the National Media and Infocommunications Authority (NMHH) and the Media Council draws attention to the world famous Hungarian talent, praising the Hungarian cinema worldwide success and talented creators. 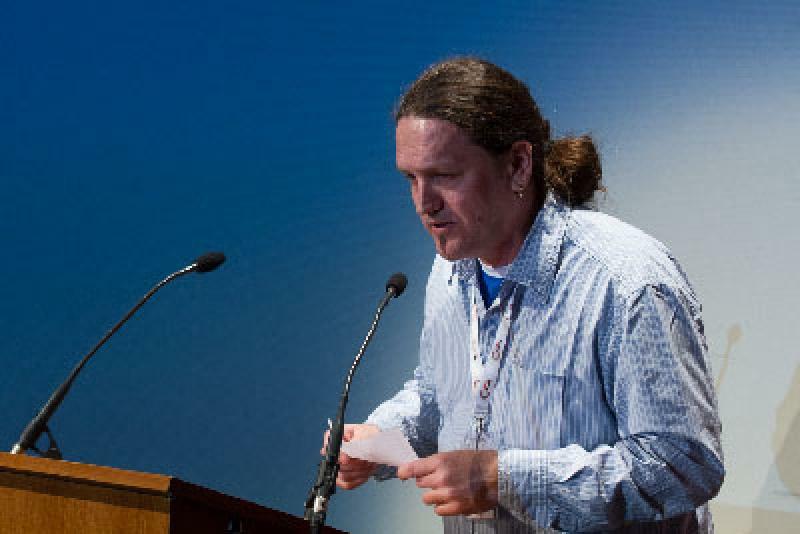 Tamás Kollarik, Media Council member, the coordinator of the program, summarized the merits of the independent local and regional broadcasters and the independent Hungarian audiovisual creators. 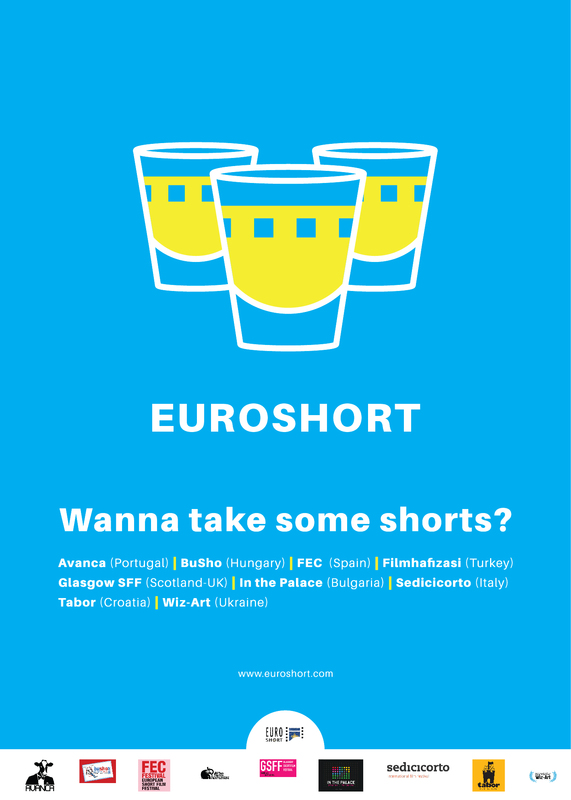 As you probably read in our last newsletter, the first official meeting of Euroshort Festival Network was held in Forli, last September, which seems to be the first functioning initiation after a lot of trial end error and many years. 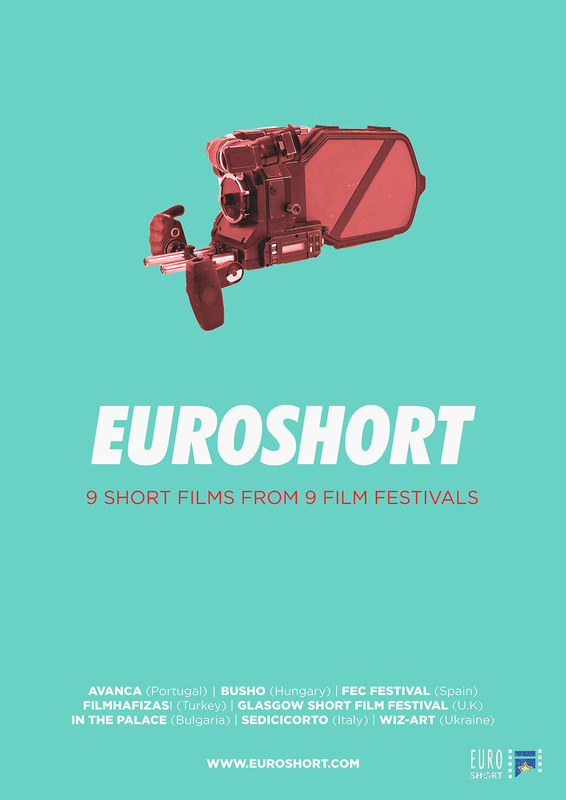 After taking part in the Jury of Mecal, we got an invitaion in March from Reus, a town located not so far away from Mecal, in Catalonia (the birth place of Gaudí), to join the jury of FEC Short Film Festival! We will use the opportunity to attend the Mecal festival as well, which is held at the same time. We are excited for it! Just as Santa’s Reindeer-run sleigh, the submissions have started rolling in to the 12th BuSho Festival. As usual, we received petitions for entry-fee-exempt submissions from regions hit by financial sanctions, as well applications for an official invitation for Visa from third world countries, and the surprises are still in the box! One of the first registered filmmakers for the 12th edition is Patrick Vollrath from Austria, who is no stranger to us, for his films The Jacket and Ketchup Kid were screened earlier at BuSho, and we are happy to announce that his newest creation, „Alles wird gut” is among the contenders for the Oscar in short film category. We keep our fingers crossed for our brothers-in-law. (Or: Wir drücken die Daumen.) Naturally we cheer for a Hungarian nominee as well: László Nemes Jeles, the director of “The Son of Saul”, whose short film was a contender at BuSho before, and was the first Hungarian to receive a Golden Globe. Now after a lengthy pause, his film brought an Oscar nomination for Hungary in the category of Best Foreign Language Film. Just to ketchup catch up, we, too, did a spot containing tomato , which implies that according to impossibility calculations we may expect a nomination from the AMPAS.... or do we?